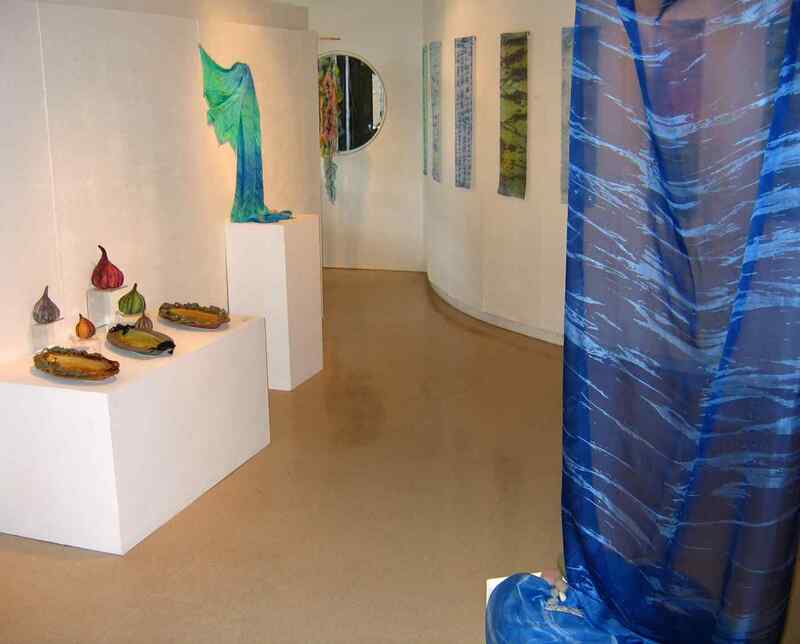 Curated exhibition of works by NSDCC members. Curated exhibition of collaborative works between members of the NSDCC. 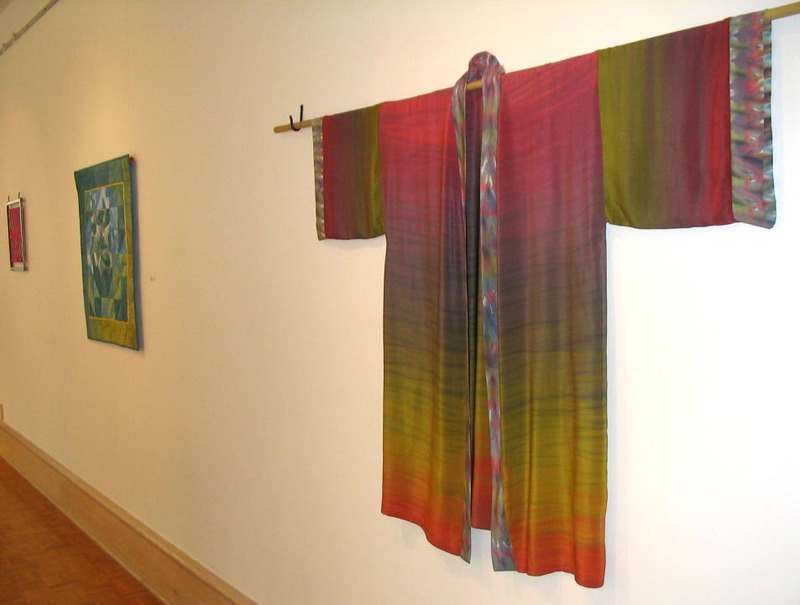 Juried exhibition of works by members of the Nova Scotia Designer Craft Council. 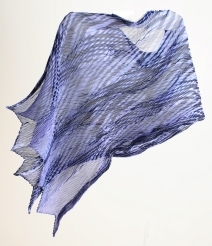 SDA Conference "Off The Grid"
An exhibition of Shibori innovations. 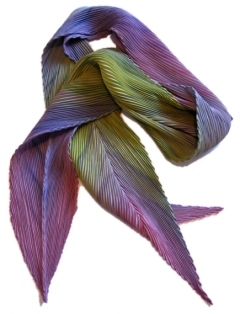 This internationalexhibition features the work of twenty-one fiber artists who use contemporary and traditional techniques of shaped resist dyeing to create artwear, fabrics, and two- and three-dimensional art. 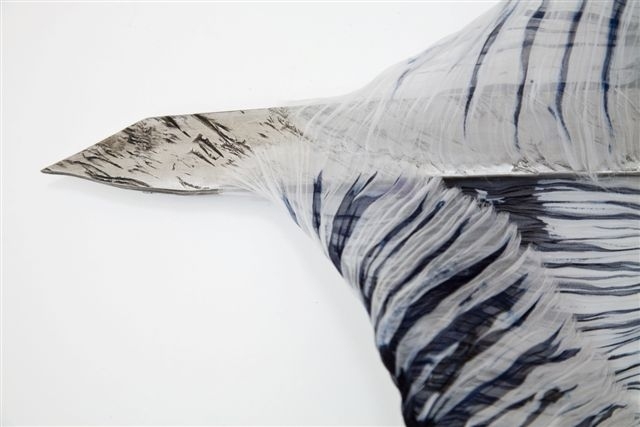 Juried by the distinguished shibori artist Ana Lisa Hedstrom, Shibori Cut Loose incorporates a wide range of approaches to the ancient, worldwide art of resist dyeing. 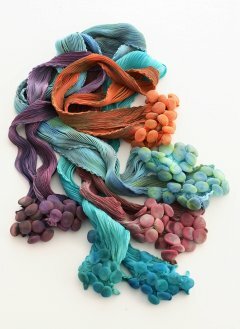 Keynote speaker for the opening reception will be world-renowned Shibori expert Yoshiko Wada. 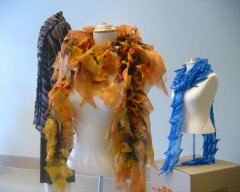 An exhibition of 11 Nova Scotia artwear designers. 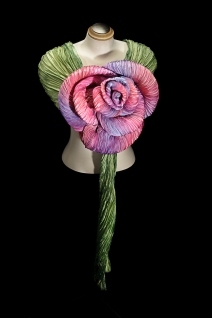 "Tuxedo Kimono", "Leaf Boa, "Frost Boa"
An exhibition of selected works by Nova Scotian artists. 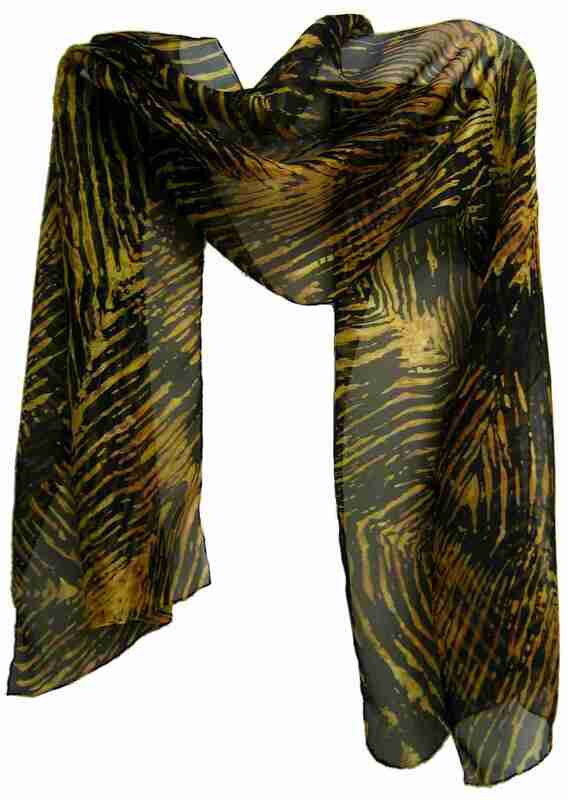 "Wild Shibori" (shown) and "A Moire in Indigo" were selected for this juried exhibition featuring wearable works of art. Et Cetera at Newfoundland Craft Council. 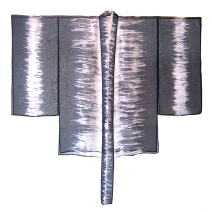 Two Arashi pieces were selcted for inclusion in this exhibition of production craft. 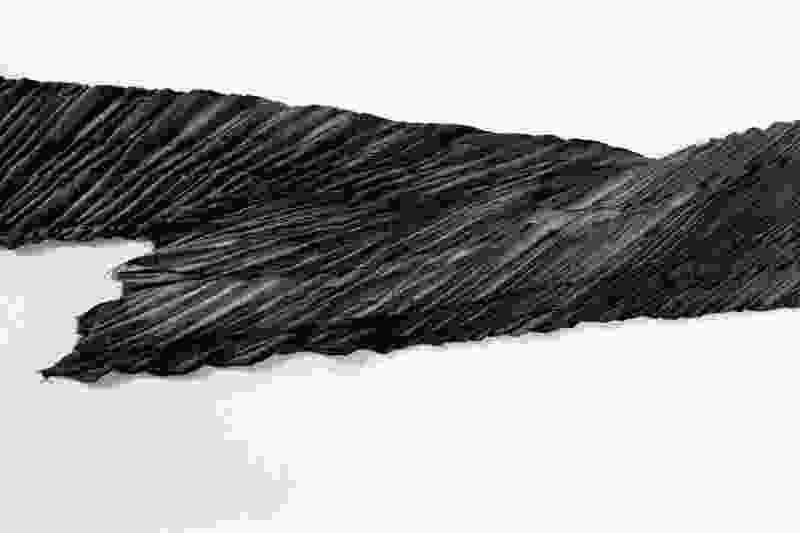 'Freewave' made a splash at The Craig Gallery in July, 2005. The work explored the textures, patterns, light and life force of the ocean environment and the energies that shape and sustain it. 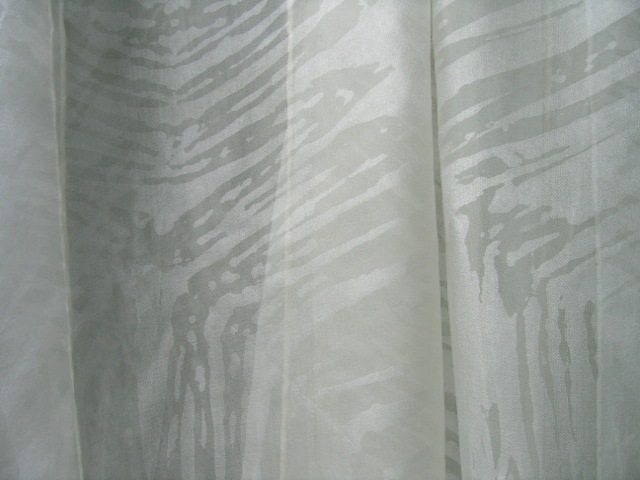 'Silent Shibori' explored the pattern and texture of shibori without the distraction of colour. "Masterworks" featured recent works by 30 members of the Nova Scotia Designer Craft Council.